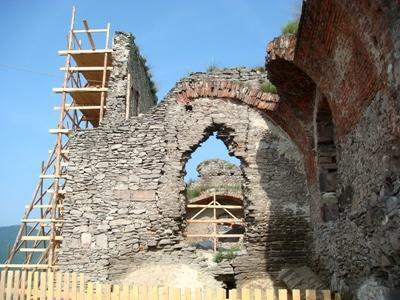 In Romania, volunteers on the Archaeology project are based in various locations, although the main base will be Deva, a city with 80,000 inhabitants. In ancient times Deva was a Dacian fortress called Decidava. Nowadays, it is the capital city of the Hunedoara district, an area with an extensive and fascinating history. Volunteers work with a number of archaeological groups, including Romania's Museum of History where they investigate ancient Dacia and the medieval environs of Transylvania. Archaeological sites found in the Carpathian Mountains and plains below have already yielded some remarkable information about the time of the infamous Vlad-the-Impaler, the supposed inspiration for the Dracula legend. Our Archaeology placements are a great way to learn about civilisations that have long-since disappeared. Through clues, investigations and practical research you can attempt to reconstruct many aspects of their way of life whilst collaborating with some of the best specialists in the periods from Neolithic to Medieval times. By taking part in voluntary archaeological work in Romania you will gain hands-on experience of archaeology and learn many practical skills relevant within this field. The range of work is diverse. Volunteers work on excavation and restoration sites all over Romania. At the beautiful sites of Deva, Alba-Iulia, Bordusani-Popina, and Harsova, volunteers excavate, clean and reconstruct pottery-pieces, tools or other items that have been found there. Other work includes identifying and uncovering ancient graves, and recovering bones and other artefacts in Sibiu; compiling reports on the several fortified Saxon churches in the region of Transylvania; and studying the gardens and dig-site of the Brukenthal Summer Palace in Avrig. Volunteers have the opportunity to carry out fieldwork, either working on digs or helping with reconstruction or ceramic work. Alongside the practical work, volunteers write up documents and reports concerning the work they are doing, and produce proposals for new sites in the area. These are then presented to potential national and international donors. Volunteers can also spend time in the History Museum in Cluj or Alba Iulia, helping with pottery reconstruction and research. The volunteers’ time is split between site excavation, analysis of finds and museum presentations. Volunteers might also help in the museum itself, translating documents and designing tourist information. Dependant on the location of the digs, volunteers will be accommodated in a guesthouse in Deva, or may camp, stay in hostels or with local families close to the site if the digs are not within commutable distance. Volunteers will be able to attend monthly social events with the other volunteers in Romania and will be able to travel to Brasov at the weekends. Archaeology is a field-based science, which means that a vital part of the education process involves learning the skills and strategies of surveying and excavation. 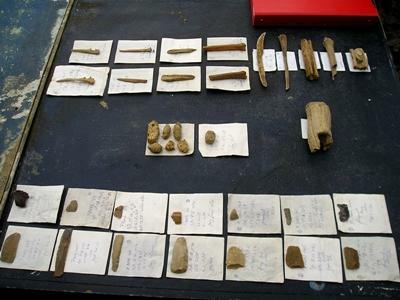 Any student who wishes to study archaeology to degree level must be prepared to spend a significant period of their time taking part in fieldwork; this includes working on digs, in laboratories and in museums. To help students and volunteers, a number of fieldwork award schemes are available through various universities and archaeological organisations. We also have other Archaeology based work available on the Incan & Wari Archaeology project. Please contact us for further information. You can join the Archaeology project in Romania for one, two or three weeks if you don't have time to join us for four weeks or more. This project has been selected by our local colleagues as being suitable for short term volunteering for both the host community and the volunteer Although you will gain a valuable cultural insight and work within the local community please be aware that you may not be able to make the same impact as someone volunteering for a longer period. If you have qualifications or experience in this field then we can make use of your skills. Read more about the opportunities for skilled volunteers in Romania.